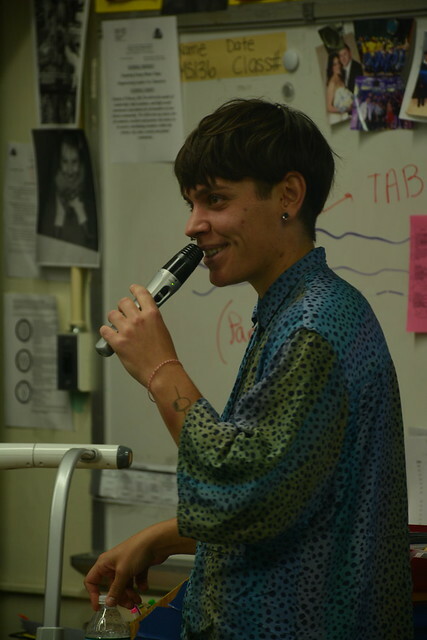 In October 2018, the Slovenian RU artist Neža Knez led the arts and education project Deus Ex Machina - The Future Machine with 7th graders in a Robotics class at Charles O. Dewey Middle School 136. Over the course of six workshops, students built Lego robots based on objects of significance which they brought to class and re-interpreted through Python coding to create a digital perspective of their emotions while thinking about the future. RU’s research assistant Daisy Xiaoyu Nie filmed the process “Deus Ex Machina - The Future Machine” Project Overview (3’49’’) and the interviews with the students and Knez (About) Three Questions for You (43’40’’). Deus Ex Machina - The Future Machine was originally conducted by Neža Knez with children in kindergarten in Slovenia and re-adapted for students aged 11 to 13 years who are based in Brooklyn and often from immigrant communities. This new version enhanced the curriculum at M.S. 136 by connecting the students' emotions to the digital age while focusing on design, perspective, and collaboration. The artist remains in touch with the students via Skype discussions. We are grateful to Sarah Hervert-Monteleone, Assistant Principal and Robotics teacher at M.S. 136, curator Ayelet Aldouby for making this project possible. This program is made possible with the support from Trust for Mutual Understanding and Charles O. Dewey Middle School 136 in Brooklyn.